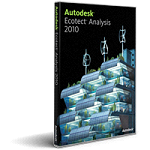 Our Ectotect Analysis 2010 Training tutorial series that helps Architects and Engineers get up to speed quickly with Ecotect Analysis. Go green, Build Sustainable. The Ecotect Analysis® 2010 training DVD consists of 99 individual video tutorials covering the essentials for beginner, through intermediate and advanced users. The essential information for getting started with Ecotect 2010 is discussed, as well as creating outputs and exporting your final data. You will learn about modeling techniques and creating meaningful analyses and simulations in Ecotect 2010. Although no previous Ecotect experience is required for this training program, we recommend that you have some basic Revit Architecture skills.